Check it out yo! We’ve pulled everything out of 3 of the 4 full bathrooms and are ready to move this forward! The following bathroom photos are of the smaller cabana bath (inside bedroom #1), our “main bath” between bedrooms 1 & 2, and our upstairs bathroom next to bedroom 3. 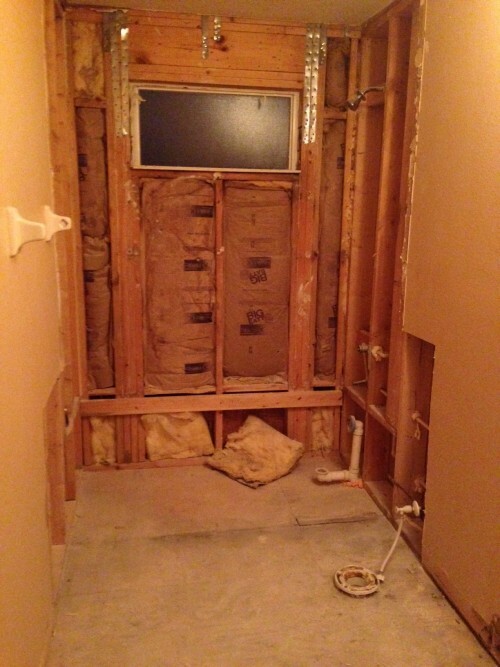 We have not completely gutted the master bath yet, that will be done sometime this week. Upstairs bath. Originally had a tub but we’re getting rid of it and simply doing a shower. Main Bath. We are keeping a tub in this bathroom but not the one that came with the house. Replacing it with a Jacuzzi Whirlpool tub. 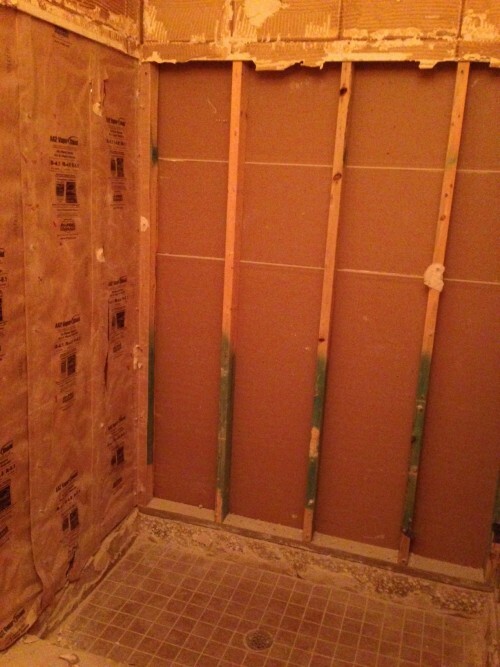 Cabana Bath – We’re re-tiling this completely. The vanity would actually behind from where I took this picture, couldn’t fit everything in the shot. 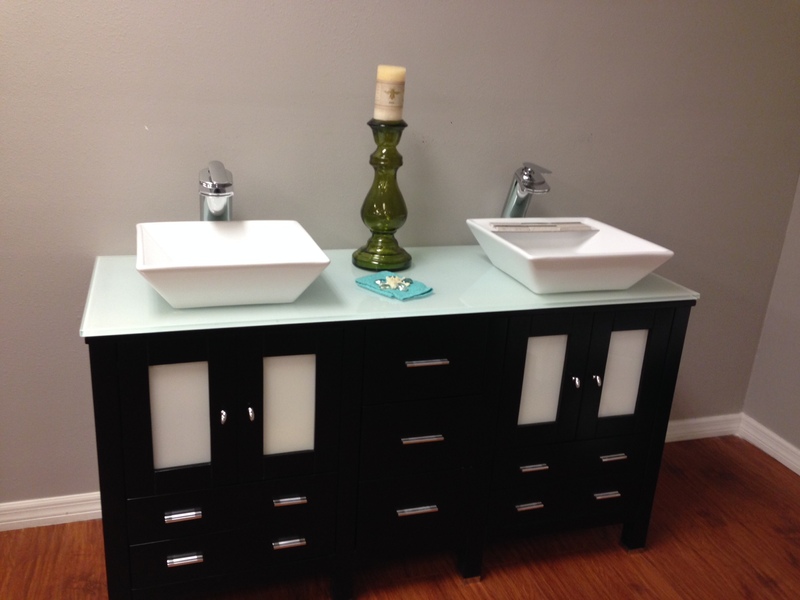 The style vanity we’re putting in all the bathrooms, just only a single sink and not two. No need for two sinks in each bathroom. We’re going to go for a modern look in the bathrooms and tile not only the showers but the walls. We’re going to use the Leonia Silver Glazed Porcelain tile from Lowes. We know we’re going to have some sort of accent tiles but haven’t decided on which tile we’re going to use for the accents. 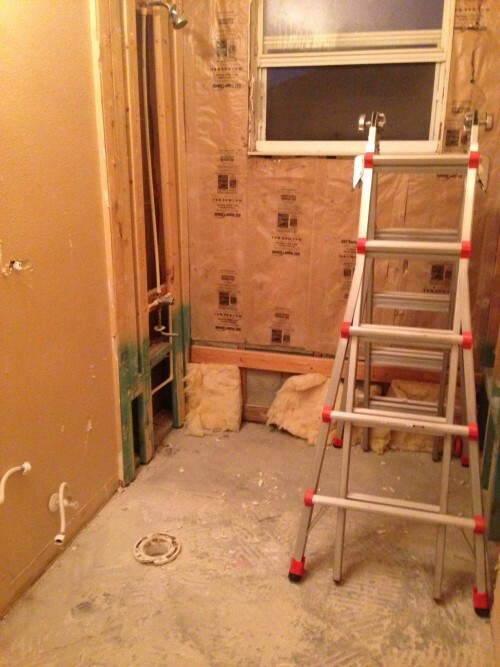 The bathroom upstairs needs a little rehab before we actually start putting it back together. Even though this home is only 6 years old, it was neglected. The wood sub-floor needs to be replaced in some places as well as some wood beams in the wall that have rotted due to moisture penetrating through somehow. But hey, forward progress! The bathrooms are going to look great…I’ll be to afraid to wash my dirty hands in those pretty sinks..LOL I love your taste in decorating our home.